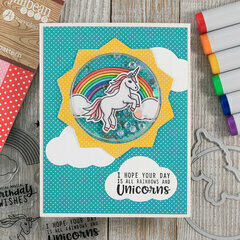 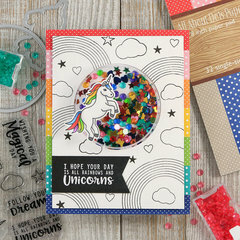 Your day will be magical with the Unicorn Shaker Die and Clear Acrylic Stamp Set from Jillibean Soup. 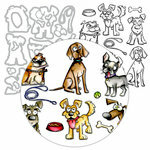 There are 19 coordinating pieces included in the package. 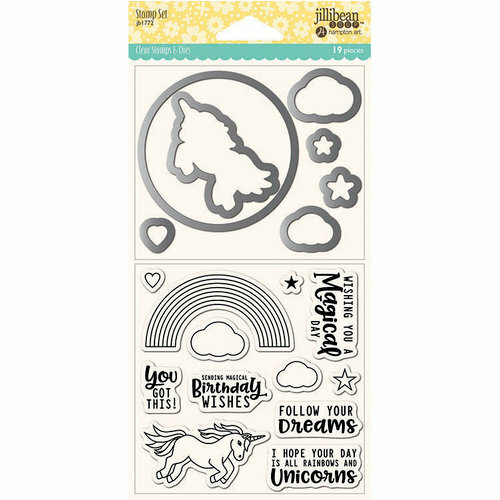 The stamps are in the shapes of a rainbow, unicorn, clouds and phrases like "follow your dreams." 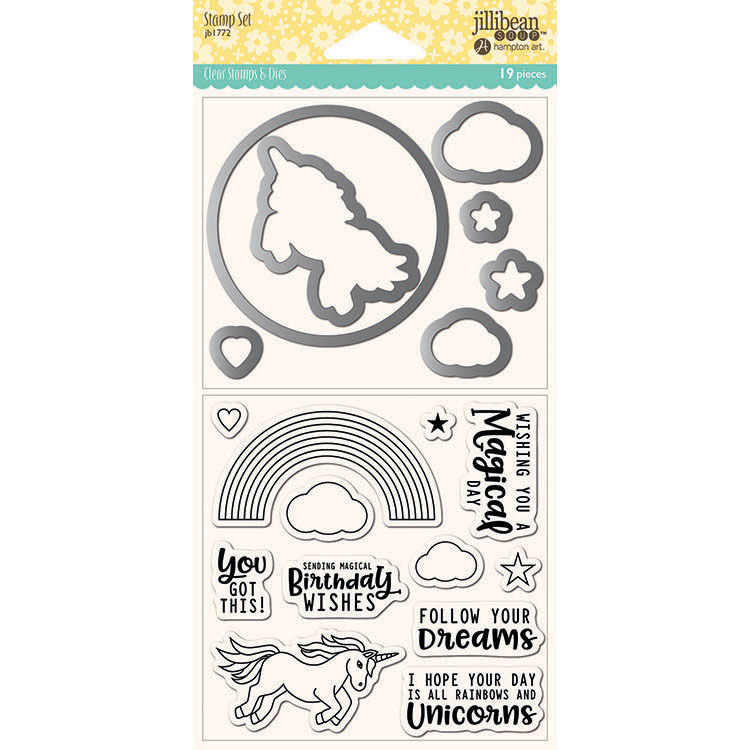 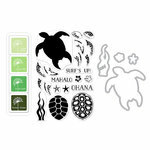 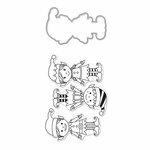 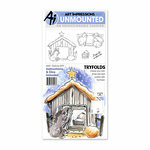 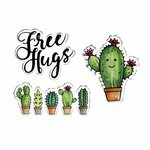 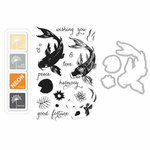 Use the stamps with an acrylic block and inks of your choice and the thin metal dies are compatible with most die cutting machines (all sold separately).